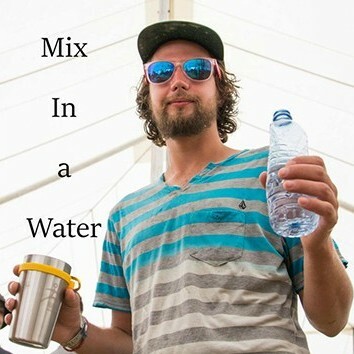 Mix in a Water is an ambient new jam from “Flo,” a Toronto, Canada based producer/songwriter and multi-instrumentalist. The title of the song is accurate in that this funky musical concoction has tropical vibes and a bit of that surreal, beachy keen sound. It’s music for a futuristic Weekend at Bernies. The midi-like synths and subdued vocals give the track a delightful underwater pool party feel. Mix in a Water is hip. It’s groovin. It’s cool, refreshing music, and it’s comin’ to a deserted island rave near you. Apparently Flo has some new stuff lined up for March so be on the lookout for that as well.